Of letting the atom bomb drop? From which only they can hide? Which you can’t fry in a pan? By these inhuman heads of state? Before it gets too late? As I wrestle with revisions, plot lines, character (assassinations) and general staring at an impending submission entry deadline, I have taken a trip down a (very long) memory lane this week. I would be delighted to find out if, when reading this, you had any idea if this poem was written nearly 30 years ago, when I was but an angst-ridden teenager? This is the poem I mentioned in a previous post, being the last time I entered any sort of writing competition. I’m kind of impressed with my much younger self’s first forays into poetry, although I blush at the idealism – but isn’t that what being a teenager is partly about? It was the 1980s and I seem to remember being frightened silly by the prospect of nuclear war (which is rather sensible, when you think about it). Thanks to my Mum digging out the book so that we could check the title (both of us could picture the cover, but not the name), I have managed to source a very good condition second hand copy, received it yesterday and am now able to share it with you all, just in time for the weekly extravaganza that is dVerse Open Link Night (which I will link up to later this evening). 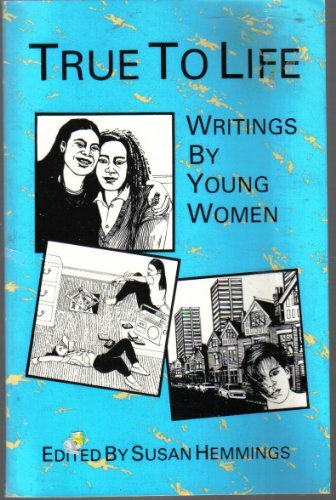 The competition was run by the National Association of Youth Clubs in 1985 (I was 14 for most of that year) and was open to girls and young women between the ages of 8 and 22. I think I saw the notice about it in Jackie magazine, which was published weekly until 1993 (and is now defunct). I love your teenage poem. I have a couple and now think I seemed to understand more then than I do now! Thank you so much! Yes, I know what you mean – we may well have been naive – but perhaps perceptively so…. Well done, brava! A teenaged mind at work, and spot on! 30 years ago, you apparently already had talent as a poet. The stanza about having bacon for breakfast or eating mushroom clouds – brilliant! Thank you so much, Bryan. I wish I had had more self-confidence in my abilities back then! Still, it’s never too late! the bomb is still a relevent question. I hope it is never used again. Interestingly, when they dropped the first bombs, my dad was on a troop ship being one of the soldiers who would have been used for the invasion of Japan. So in a way, I owe my being here to the bomb. What an amazing turn of fate, and how strange to think that something so terrible resulted in such goodness, as far as your family was concerned. Funny how during the 1980s, we were probably less under threat of nuclear destruction than now – since mutually assured destruction was enough of a deterrent for both sides to not do anything undoable. These days… I’m not so sure. how interesting that this was written 30 years ago…and what has changed you know…we still use violence…maybe not on that immediate scale but just as impersonal….drones and smart bombs….. Yes, it’s the methodology that has changed. In a way, it was all more simple and obvious back then – the USSR and allies, versus the USA and allies. Now – it feels all much more complex and sinister – to me, anyway. Goodness, I haven’t thought of that song for years and years. I feel a certain sense of nostalgia when reading what I wrote, and also the other entries that made it into the book. But then I was an angst-ridden and emotional teenager, so I can remember like it was yesterday, how I felt when I read certain entries, even the room I was in when I read them! It’s quite an interesting exercise, thinking how I was back then, and how in some ways, I’ve hardly changed at all! It seemed a question from the past – though it is still real today – I wonder what those with their fingers on the button do think – I imagine they hide behind the thought that it will never happen (to them)! Interesting to see it in today’s context – has a clarity that would perhaps be missing today? Well, the poem has certainly got a ‘dated’ feel about it, but my sentiments haven’t really changed – although I know I am of course less black and white about things as a cynical adult than a hopeful teenager. I have been on protest marches as an adult though – living the dream of wanting to protest at Greenham Common all those years ago! Shows real promise for a teenage poet…promise fulfilled…the line about eating bacon or mushroom clouds is great line at any age. Thank you, Ronald. I’d love to step back in time and tell my younger self that I should just keep on writing. I did carry on, but not intensely. Still, better late than never! Thank you, Grace. Yes, they certainly are still relevant. That is one great poem you wrote as a teenager. I too remember those days of worrying about the atomic bomb. Hard not to worry about it when we had bomb shelters and movies about them in school. Thank you so much! I wonder if teenagers worry about similar issues today…? Ya, I think if you have an idea of history you could guess the era, but I’m not sure you would guess that you were a teenager. Amazing writing. Yes, it is dated, for sure. Thank you for the positive feedback – very much appreciated! You already had strong opinions and expressed them through poetry I see! It is wonderful you managed to get hold of a copy of the book. I remember the CND women and Greenham Common (I think that’s where they were), and being concerned about the nuclear threat. I’ve always had strong opinions – a way of being inherited from both of my parents, I rather believe! Yes, I am so pleased that I managed to get hold of a copy of the book – reading it has been like taking a trip down memory lane.